Egg “Unboiling” Process Significantly Improves Cancer Drug Effectiveness. Cancer drugs are, to be honest, a club being used where a scalpel is needed. Most modern chemotherapy treatments hinge on the principle that certain drugs will kill the cancer quicker than the patient as their indiscriminate nature makes no distinction between fast growing cancer cells and regular ones. Thus any form of treatment that can either reduce the amount of drugs used or get them to target cancer cells specifically is keenly researched as they can drastically improve the quality of life of the patient whilst increasing overall effectiveness. Such improvements are few and far between and rarely come hand in hand. A new development, coming off the back of the “unboiled” egg research announced earlier this year, however may improve both fronts for current cancer treatments. 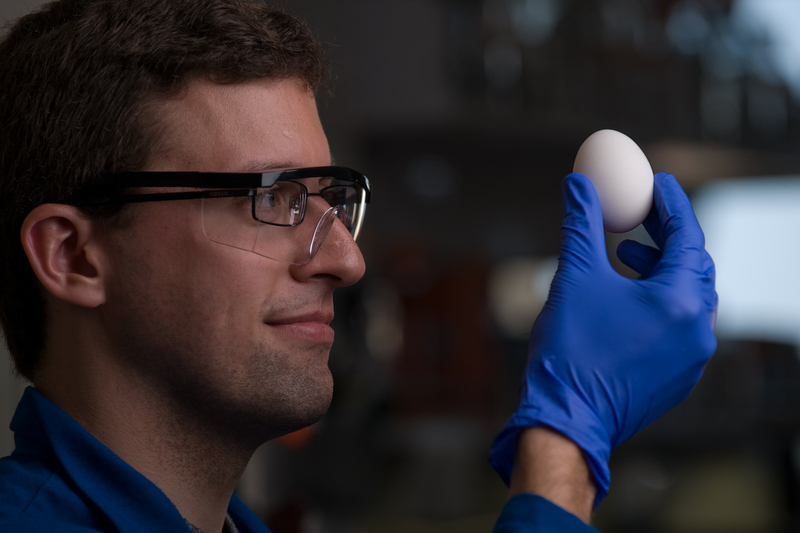 Chemistry major Stephan Kudlacek and professor Greg Weiss have developed a way of unboiling a hen egg. The initial research, which I refrained from writing on at the time, is pretty interesting even if the headlines don’t exactly match the reality. Essentially the researchers, based out of University of California (Irvine Campus) and chemists within Australia, have developed a process to take cooked egg protein and revert part of it back to its original form. The process they do this with is rather interesting and begins with them liquefying the egg using an urea based substance. This now liquid cooked egg, which at a protein level is still all tangled up, is then put into a machine called a vortex fluidic device (VFD) which applies an incredible amount of shear force to those proteins. This forces the proteins to untangle themselves and return to their original form. While this might sound like a whole lot of nothing it essentially allows for the mass manufacture of proteins that aren’t jumbled or misfolded which are invaluable to many areas of research. More recent research however has employed the use of this device in conjunction with a widely used cancer drug, carboplatin. Carboplatin was introduced some 30 years ago and is favoured due to its reduced and more manageable side effects when compared to drugs that use a similar method of action. However that reduced effectiveness means that a higher dosage is required to achieve the same level of treatment, on the order of 4 times or so. Carboplatin is also a stable drug which doesn’t break down as rapidly as other drugs do, however this also means that it can readily pass through the body with up to 90% of the dosage being recoverable from a patient’s urine. Using the VFD however has the potential to change that dramatically. The same researchers behind the original discovery have used the VFD to embed carboplatin in molecules that are called lipid mimics which are powerful antioxidants. This has done through previous methods however the use of the VFD has increased the rate at which the drug was embedded in the mimics, from 17% to 75%. This means that the drug will be about 4 times as effective in delivering its payload, allowing doctors to significantly reduce the amount used to achieve the same results. This will dramatically improve patient’s quality of life through better outcomes and significantly reduce side effects. Such a process could also be applied to other treatments as the lipid mimics are capable of storing water soluble active agents as well. It might not be the most headline grabbing title however it has the potential to significantly increase the effectiveness of current cancer treatments whilst keeping the patient’s quality of life high. Like all improvements it’s likely going to be specific to certain treatments and types of cancer however it will likely lead onto further research that will hopefully improve all areas of cancer research.